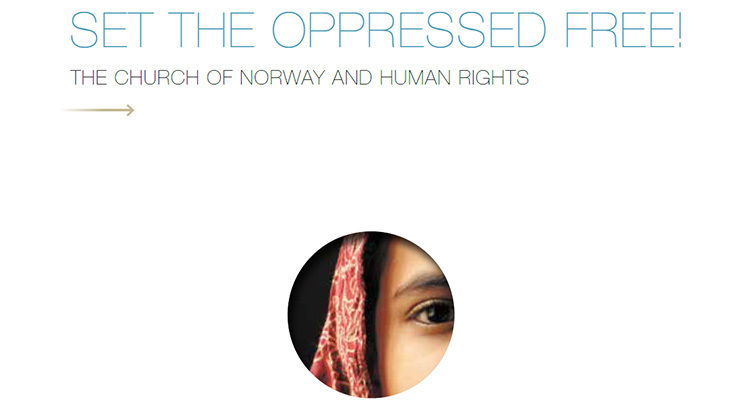 The Church of Norway Synod 2014 discussed the document “Set the oppressed free!” and recommended it as a resource document that can lead to reflection and action in the Church of Norway. The document states that "while human rights are strengthened both in rhetoric and to some degree in implementation mechanisms, some aspects of human rights are also under increasing pressure." The Church of Norway Synod especially asked congregations to include human rights perspectives in the congregation’s services, diakonia and Christian education. The Synod discussed the characteristics of the church’s responsibility in human rights efforts, as well as a set of criteria for the church’s human rights involvement, which can be found in the resolution attached to this document. The Church Synod’s strong commitment to human rights makes this document (which served as a basis for the Synod deliberations) an important resource for the years ahead.